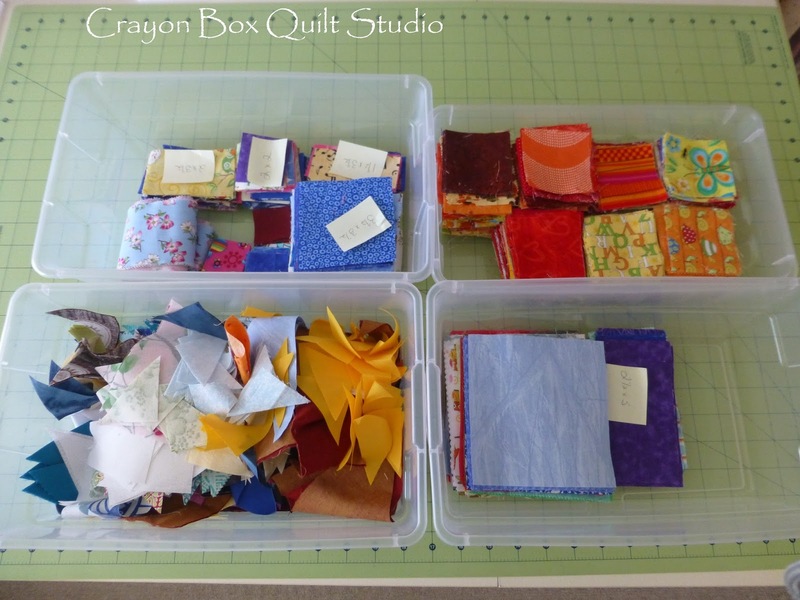 Lately I've felt renewed quilting wise as I've had some time to actually sew (other than those Girl Scout t-shirts that is). That makes me very happy. I've also spent some time recently doing a bit of reorganizing and cleaning up in my studio. I can't work if things are a mess and while my mess was a ton less than some others that I have seen shared for public viewing, it was bothering to me. The stash dresser received some attention and all the fabric that I've been using or have acquired of late has been put away properly. 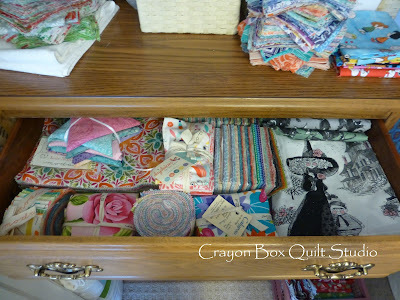 The top of the dresser has my stacks of Kate Spain charms, both the regular lines ones and the Christmas ones, just waiting for me to get started turning them into quilts. 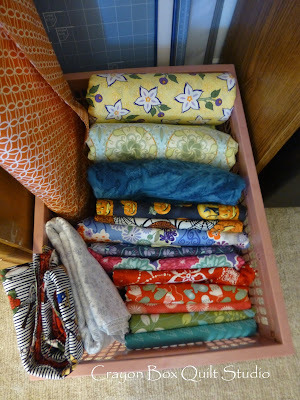 All of this stash is "unclaimed" fabric meaning not currently planned for a specific project. 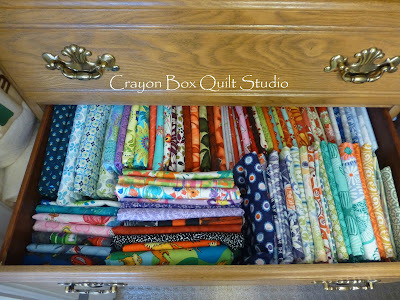 This is my drawer of precuts and Ghastlies. 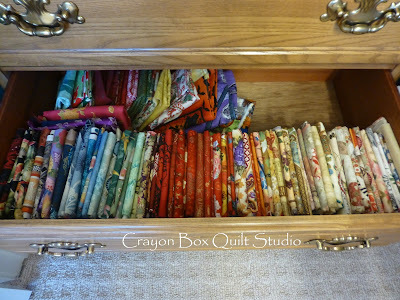 The next drawer holds my coordinated fabric line half yard and yard cuts. The middle drawer contains miscellaneous yardage. 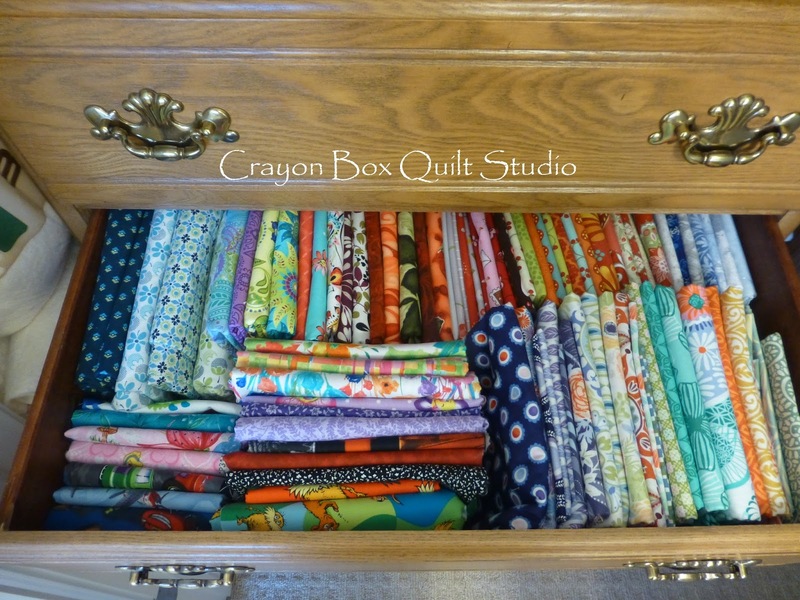 This is my general stash drawer, mostly fat quarters with some smaller bits and half yard cuts mixed in. Yes I organize a lot of my life according to the rainbow. 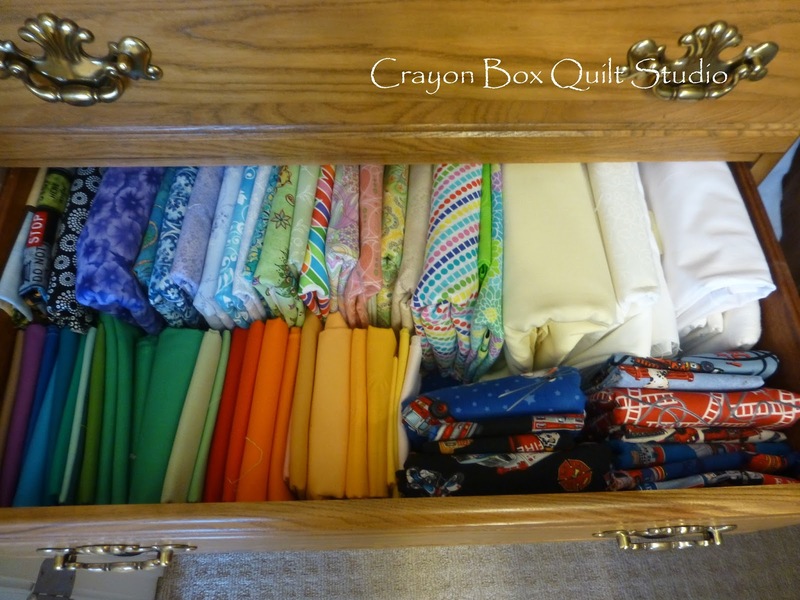 The bottom drawer is my special theme fabrics - Asians, the tiny amount of Christmas that I own plus what's left of my Halloween stash after I finish my City Sampler quilt will go back in there. This bin holds my larger backing and border yardage, most of it is planned for. I recently confiscated my daughter's shelving unit for my "kits" aka projects in waiting. 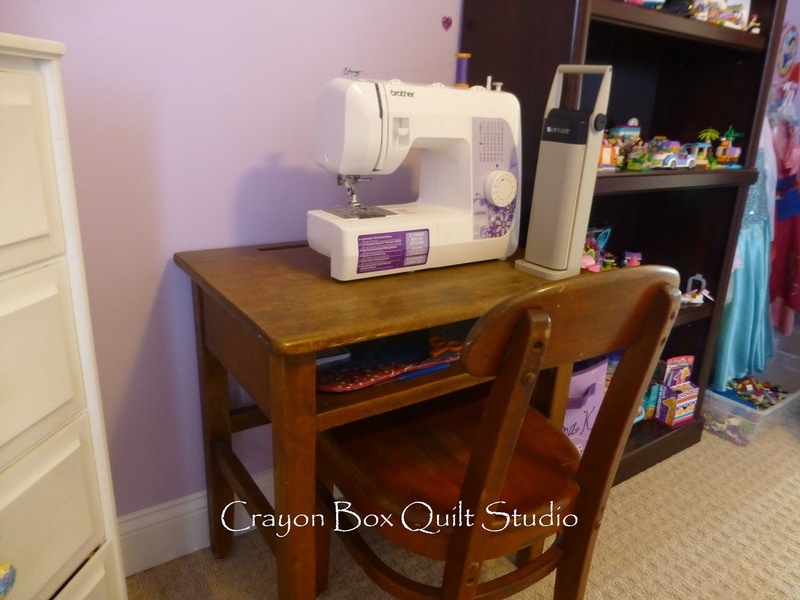 It is also a better place for my bobbin winder (much easier to access). It used to house her growing collection of completed Lego projects and she truly needed more space. 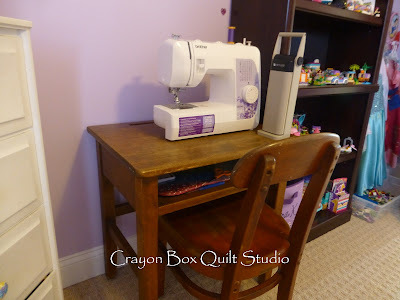 She now has a 5 shelf unit in her room and by sliding it over a bit, I was able to fit this antique child's desk and move her sewing machine in there. It was just to cramped in my studio. 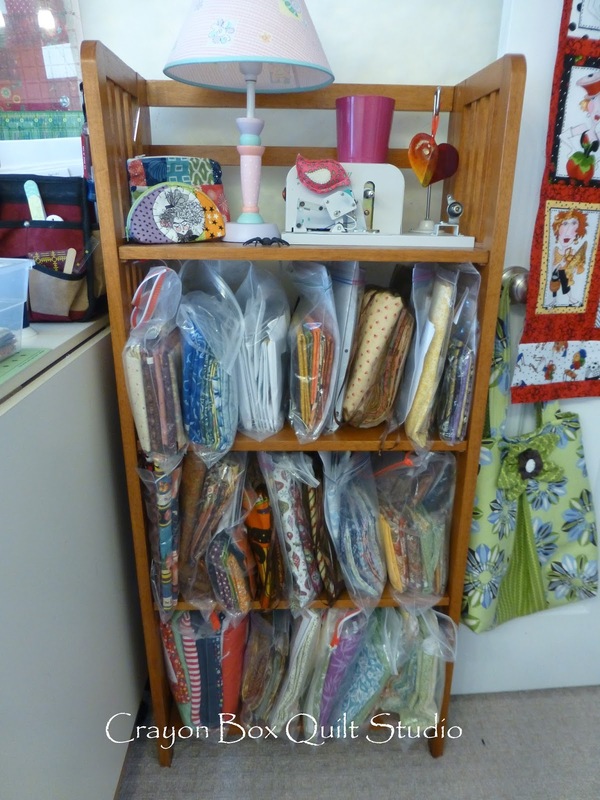 The pile of saved patterns from magazines and printouts was out of control so I sorted through all of the binders, tossed a bunch that no long hold my interest and filed all the rest, adding a 4th binder along the way as 3 wasn't enough any more. I'm a self professed list keeper. My sisters have called me the List Queen for as long as I can remember. 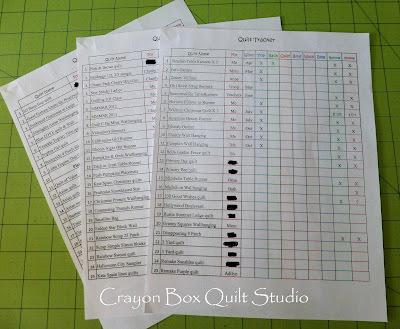 I've been keeping a stash list and a project list for a long time that desperately needed updating and while doing that I decided to reformat how I was keeping said lists. I've been using Excel for years so it was quick and easy to draft these up and then finalize them after all the additional notes were made. 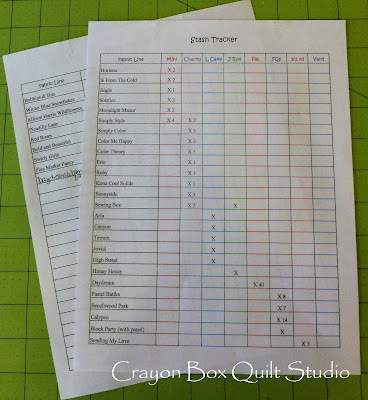 My stash tracker shows the precuts and yardage I have by fabric line though this doesn't take into account my Halloween or Asian stash or my miscellaneous yardage cuts. It definitely helps me to figure out what I want to make with something specific. 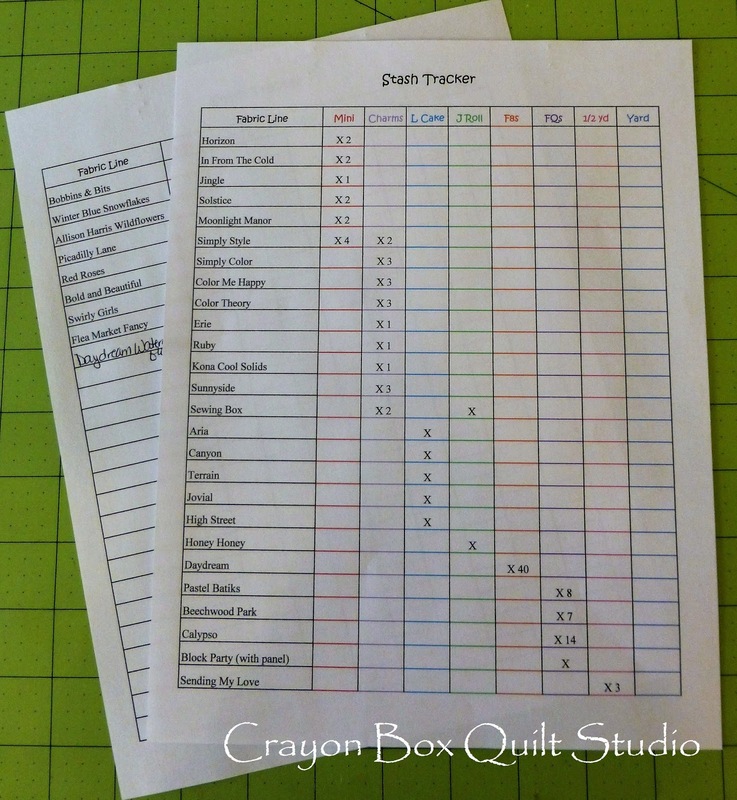 I've organized my project tracker first by those with time frames to be completed, then by those that will be made for someone else, next listing the eventual projects and finally those that are still in the planning stages in my brain. There are a whopping 59 projects on the list with another 13 in the planning stage. Those should keep me plenty busy for quite a while. 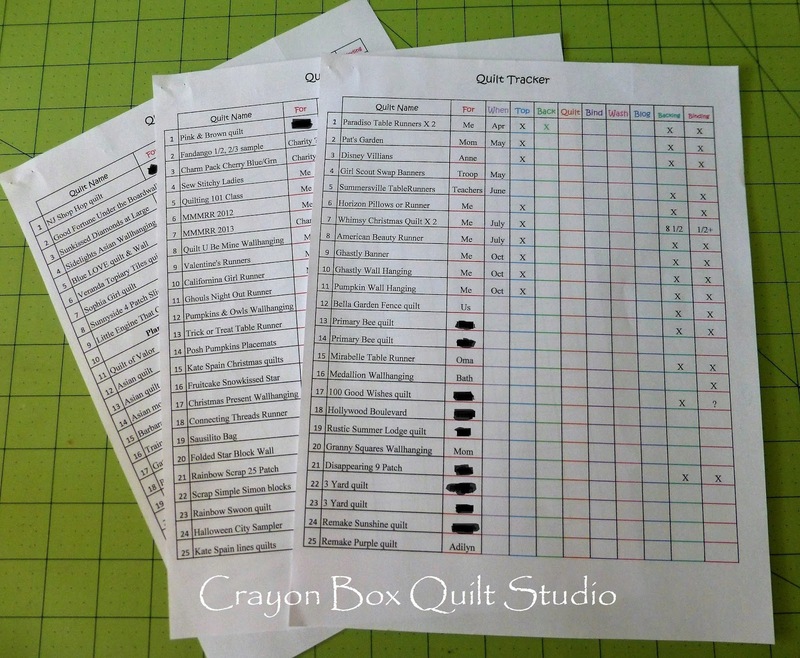 I'm determined to actually make the projects on my list instead of finding new ones to get me sidetracked. Having a spot to note if I have the backing and binding already is definitely handy. 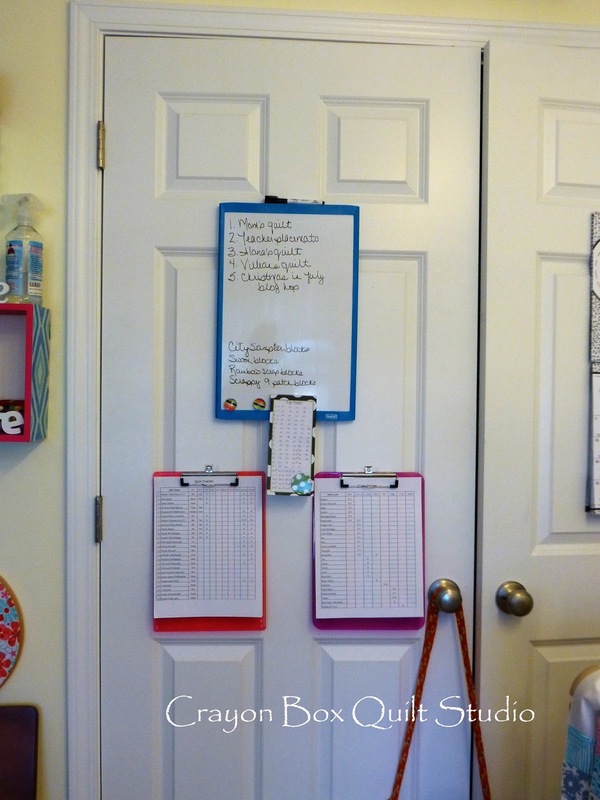 Both clipboards now hang on the closet door where I can see them easier and hopefully help keep me on track so that I can work at crossing a bunch of those projects off the list. Speaking of side tracks, yesterday I drove over to my LQS to just pick up some background for one of those on my project list. The owner turned 50 and to celebrate she is giving out one coupon for 50% off one fabric cut with a donation of 5 food items for the local food pantry (promotion ends today). I need a bunch of White so at a bargain price I bought the whole bolt (my sister Tina is taking 1/3 of it). 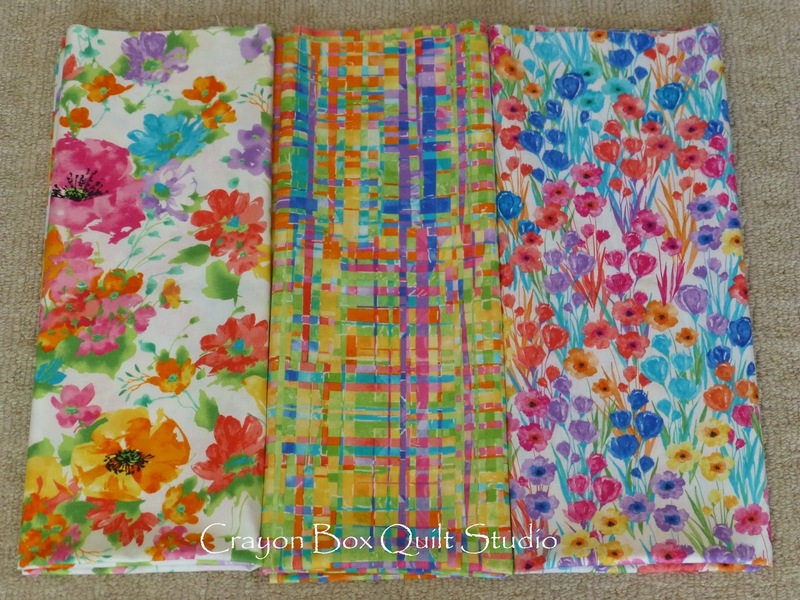 I hadn't been to this shop in a while so I took a good look around and while there was a bunch of pretty fabric that caught my eye, I resisted (remember...I want to actually make what I already have planned) but this small stack I just couldn't leave without. 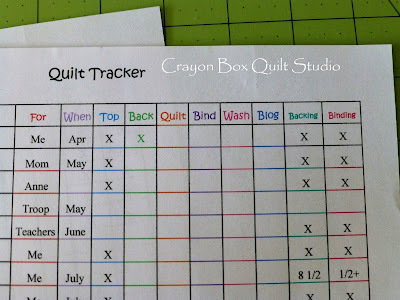 Yes it got added to the stash tracker but considering I've bought so little fabric lately, I didn't feel one bit guilty about it. Bindings sewn to the front of two more quilts were completed so now I just need to spend some time watching a few movies while I work on hand sewing them to the back. Many evenings I've been itching to do something for a little while but not want to get into real sewing or thinking so I've brought out the scrap bins again and will get back to cutting up my overflowing bits into usable pieces. 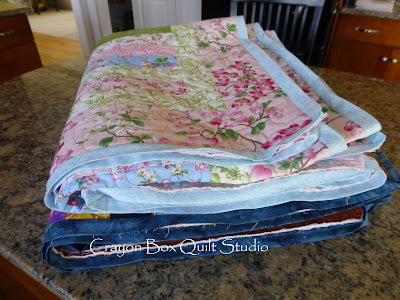 There are quite a few scrap quilts on my radar that will make great leader/ender projects. I just need to pick which one to start with. So there you have it. My studio is in much better order and now when I enter through the door, I feel ready to create instead of getting stressed over the mess. As a result I expect that there will be a lot more finishes in the coming months and that is always a good thing. I too like organised and tidy, so well done there. Happy creating. 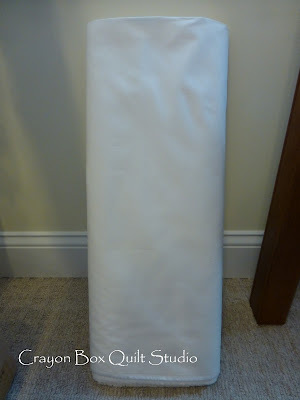 Your stored fabrics still like the occasional stroking and touching while they wait! 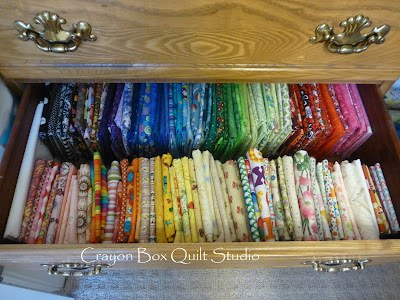 Wow you are very neatly organized. 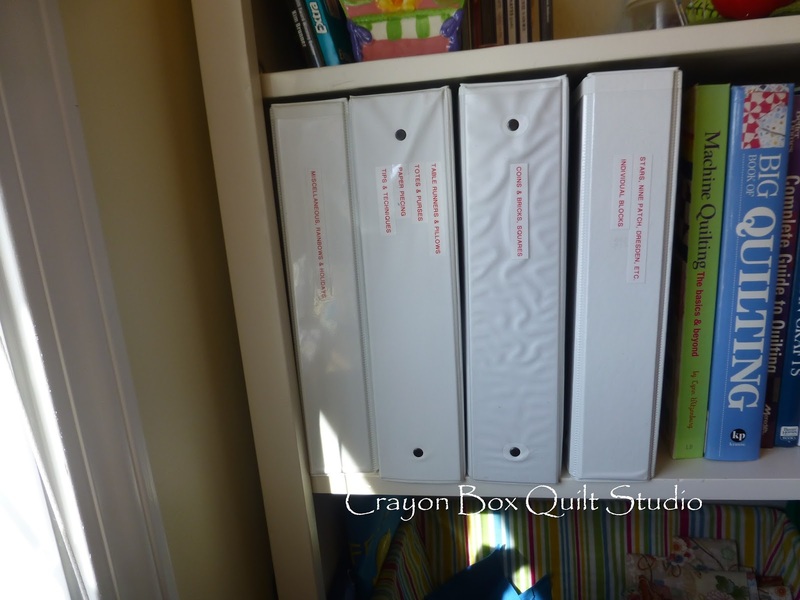 My organization system is similar but much less tidy. I have a white board that I make lists on and cross them off. Love your blog! Do you offer your services to less tidy quilters? 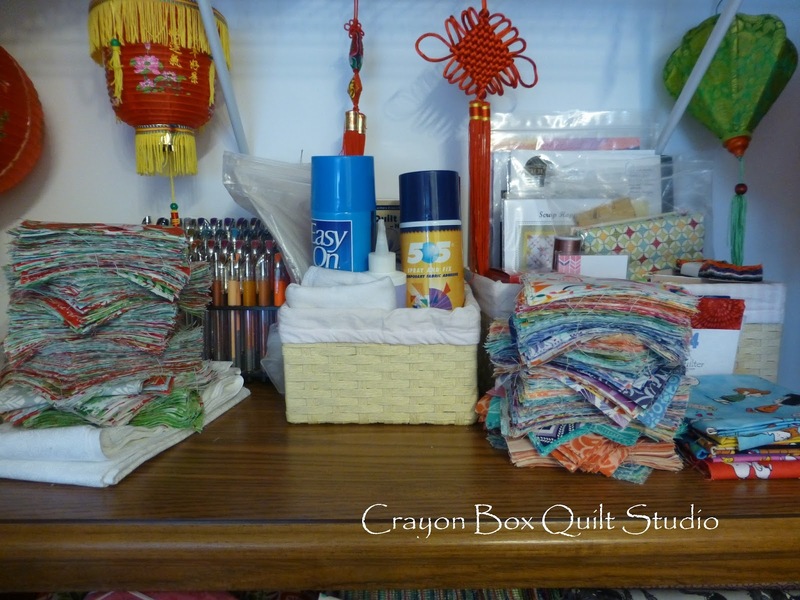 I certainly need to get my studio organized. There are projects EVERYWHERE!!! Wow!!! That was a lot of organizing - I am quite impressed!! Oh my goodness! You are definitely a very organized gal! Love seeing all those yummy fabrics sleeping in their cupboards until ready! 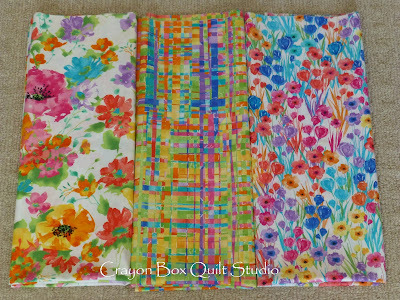 Those fabrics are beautiful and I will look forward to seeing the gorgeous quilts you make with them! I really like the way you've made your lists so specific. 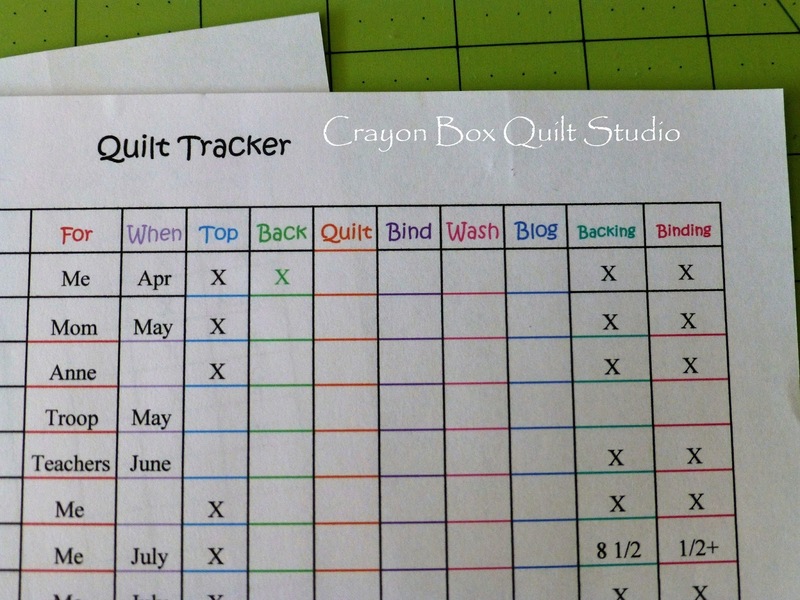 It looks like a great way to keep track of things.